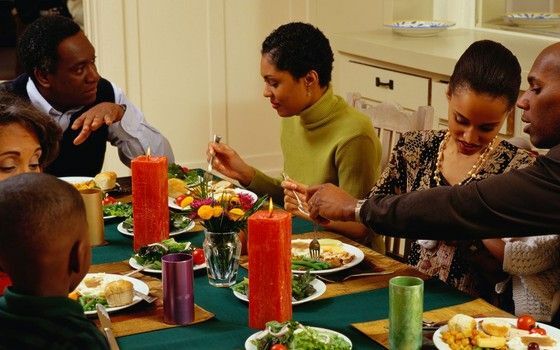 10 Health Tips To Help Your Body Survive The Holidays. Escaping the festivities of December is truly impossible to many. There is a slim chance of sticking to a healthy diet, and overindulging in delicious treats and drinks is almost a given. Around this time of year, most of the rules for healthy living are happily abandoned, and fun and festivities prevail. Here are a few tips that may be helpful for looking after your health and minimizing the impact of holiday overindulgence. Most holidays are associated with certain foods. Lunch at your house might not be the same without your aunt’s green been casserole, but that doesn’t mean food has to be the main focus. Instead, throw yourself into the other rituals a holiday brings, whether it’s caroling or tree trimming. Staying physically active during the holidays will result in you gaining less weight over the years. People who reported the most physical activity through the holiday season showed the least weight gain. Some even managed to lose weight. You may be celebrating, but that doesn’t mean that that you should send your meal plan. Alcohol can interfere with your blood sugar by slowing the release of glucose into the bloodstream; it also contain a lot of calories. What’s more, alcohol breaks down your inhibitions and judgment, which makes you that much less likely to resist the junk foods that you would otherwise be able to pass up. It is more important then ever to stock your kitchen with healthy foods. Have healthy snacks handy. The more convenient they are, the more likely you are to eat them. Instead of thinking about what you shouldn’t eat, promise to eat your 3 to 5 servings of vegetables each day. You probably aren’t aware how much extra food you consume just from people offering it to you. A sample at the market here, an extra cookie at an office party there and it all adds up. Just think twice before you take that food and decide if you really want it. Do you make baked goods for giving? Chances are you eat much of what you bake. Instead make non-food gifts , or prepare ingredients for baked goods and put them in pretty jars, let your gift recipient bake it up. That way, they can eat it when they want it and you don’t have to be tempted in the kitchen. Keep your water bottle with you at all times. You should be drinking eight, glasses of water each day. One handy trick is to buy a big water jug. Fill it up in the morning and know that you need to finish it by the end of the day. When you don’t want to eat, pop a piece of sugarless gum into your mouth. This works well when you’re cooking or when you’re trying not to dive into the buffet. Put only two items on your plate when you go to the food table. Return as many times as you like, but only take two items each time. Variety stimulates appetite, and if you limit your choices to just a few items and stick with these, it will be easier to control than eating a little bit of 20 different dishes.